This 7 Quick Takes list is not random; everything is from a wonderful Thanksgiving vacation! Happy Day after Thanksgiving!! I am spending time with my in-laws in the beautiful Great Smoky Mountains in Tennessee. We usually gather in northern Indiana for turkey day, but my sister-in-law and her husband decided to shake things up. We rented a fabulous lodge in the mountains (with a rather scary, steep driveway!) that fits all 43 of us! Not that there are only 43 of us in the Padan clan, but 43 who could attend ranging from 4 months old to 89 years old! What a blessing! 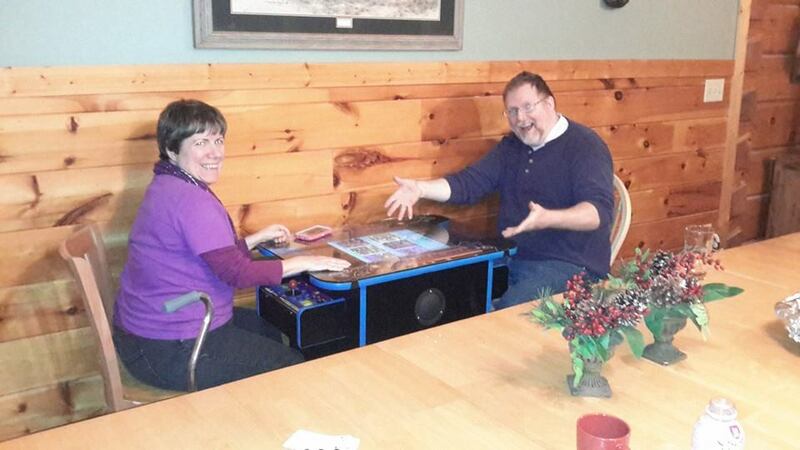 The lodge has a somewhat-vintage arcade game table. It has Pac Man, Frogger, Donkey Kong, and a bunch of games I never heard of. We had lots of fun playing, including teaching our very young great-nieces and nephews how these “old time” games work. Lots of laughter! I had packed several cards with me with the intention of writing some notes. But I just never sat down in a good spot for writing. 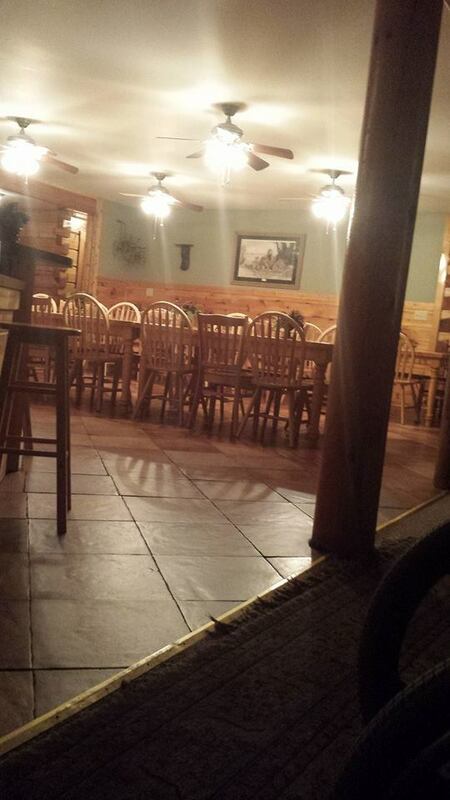 Lots of hustle and bustle in this lodge. 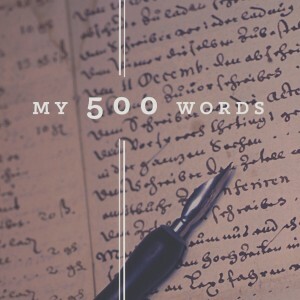 This post is taking much longer to write than you might expect. No complaints here…just fun to relish in the noise of a big family! Some family members went shopping in Gatlinburg today. But I avoid stores on Black Friday like the black plague. 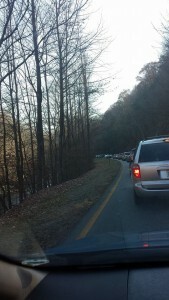 We did go into Great Smoky Mountain National Park, and we had some lines to get in…but that was worth it! God’s creation is so beautiful! Bruce an I were able to go on a short paved trail near the park’s road. 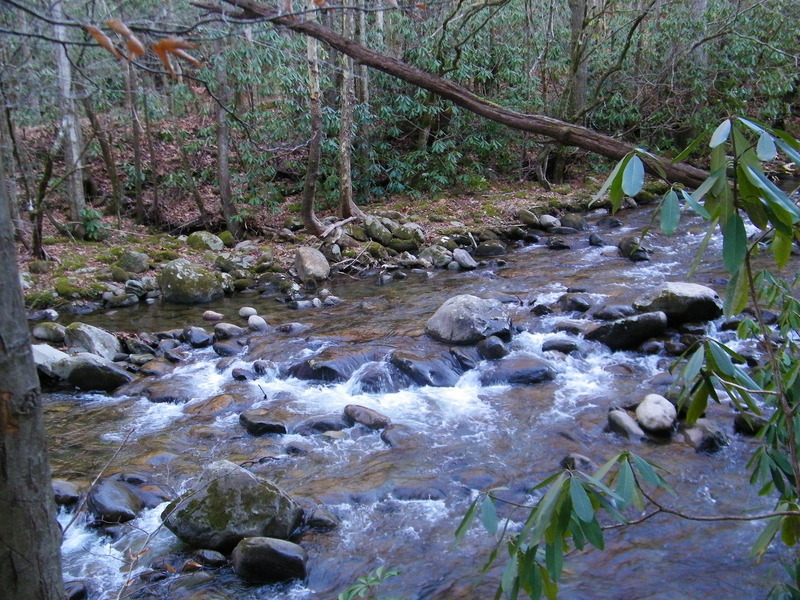 We saw some beautiful trees, and the shallow parts of one of the many streams that flow through the mountains. There were other people with canes, and families with young children who would likely struggle with the difficulty and length of most trails. So grateful the parks service provided this smooth path for us! 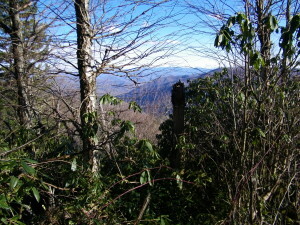 The first time I was in The Great Smoky Mountains, I was in junior high. We were visiting my maternal grand-parents for Thanksgiving, who were living in North Carolina at the time. I fell in love with the scenery, the crisp air. I have been through these mountains many times since, and during different times of the year. But experiencing this in late November will always be special to me. I was going to add some family pictures, but I haven’t ask permission yet. I know some wouldn’t care, but I can almost hear the distraught voices of some… “You put THAT picture on your blog?” Hmmm, I better keep those pics to myself!